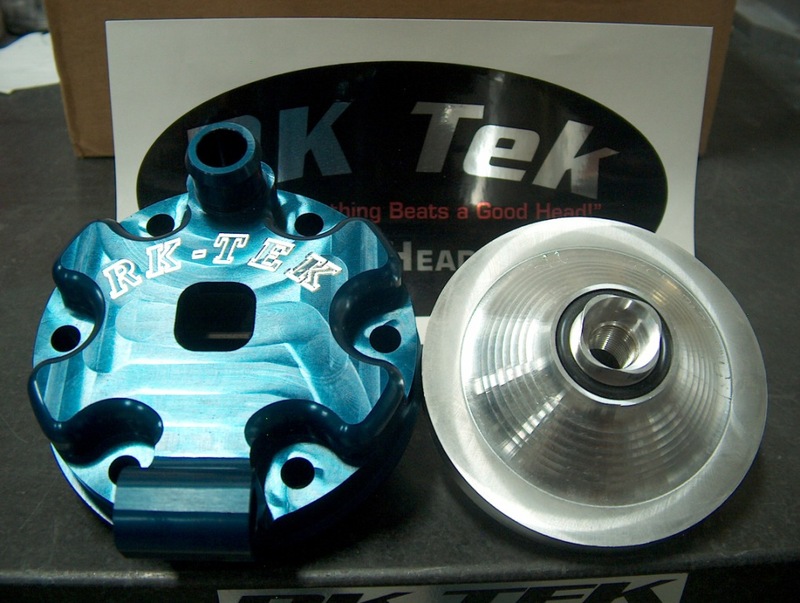 RK TEK IS 100% CONFIDENT IN THE PERFORMANCE OF THESE 250cc AND 300cc HEADS! NOTE: RK TEK IS 100% CONFIDENT IN THE PERFORMANCE OF THESE 250cc HEADS! The Stock 250 head is a VERY inefficient design and leaves A LOT of Performance on the table. We have developed a TRUE Performance Enhancer with this Custom Billet Head designed specifically for mountains and single/dual track riding. This head will widen the engine's effective power-band considerably and allow for a much more linear power delivery. This head is unequaled in its performance. Cooling is also increased. A cooler running engine will last longer and produce more power. Testing has shown, in many cases, this head allows for the hill to be pulled in the next higher gear . What you would normally pull in 2nd gear you can now pull in 3rd gear. Porting Packages are also available. This will wake up the engine even more! ANOTHER HUGE bonus with the addition of the head is improved fuel economy! Most find they can run an extra 10-20 miles further on the same amount of fuel!! Now who doesn't need that??? PLEASE stay tuned to this site for updates!